Alla Georgieva’s presence on the Bulgarian and international art scene is long-term and meaningful. The most frequently recurrent themes in her works are the tempting, fascizoid face of modern-day fetishes, the mimicry of cruelty as innocence in human relationships, and the presence of psychopathology and trauma in apparently idyllic situations. She works with photography, installations, objects, video and oil painting. 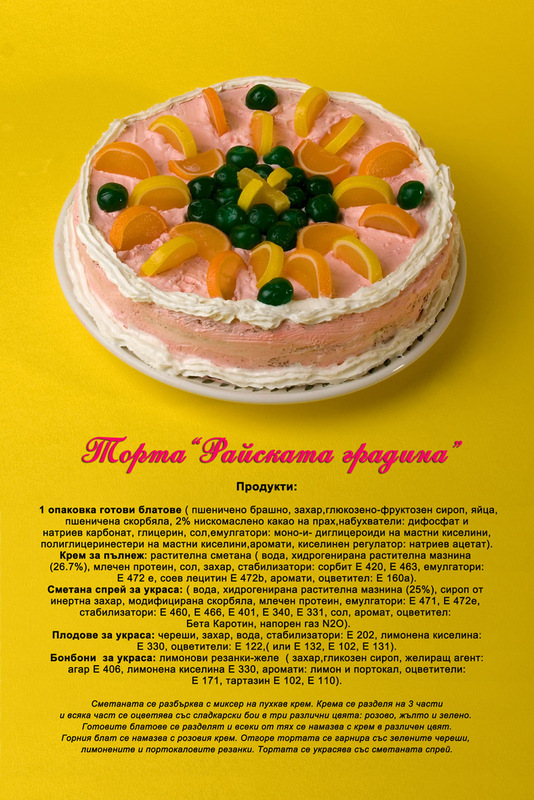 More specifically, her works tackle such painful issues as violence in childhood (Happy Birthday!, 2003); the place of women as sexually exploited objects in East European societies (Bulgarian Souvenirs, 2006–2010) and the concept of borders in the love relationships of the great leaders and dictators in history (On Love, great and small, 2008). 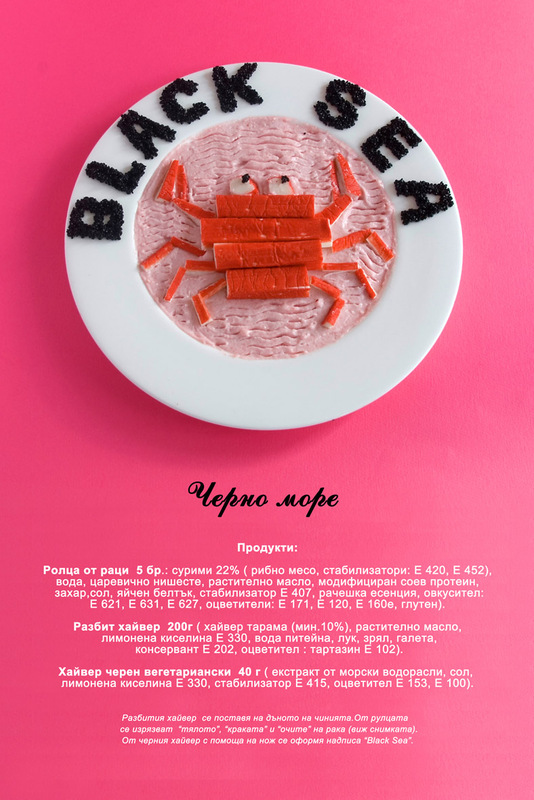 The exhibition and performance Frankenstein’s Dinner at the Sariev Gallery addresses the problem of harmful and noxious foods offered on contemporary food markets and our growing tendency to consume more with the eyes than the mouth. “Food has lost its innocence,” the artist says. 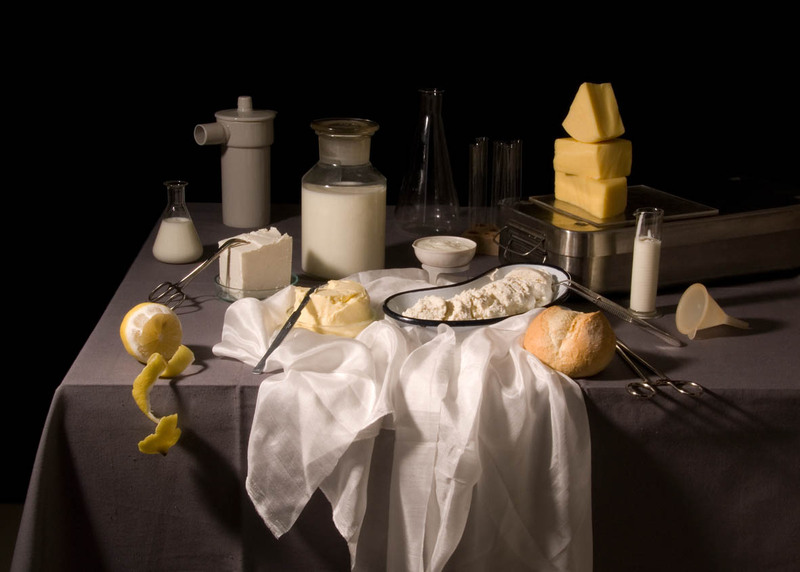 “The only place where we can still find harmless, innocent food are the still lifes of previous centuries”. 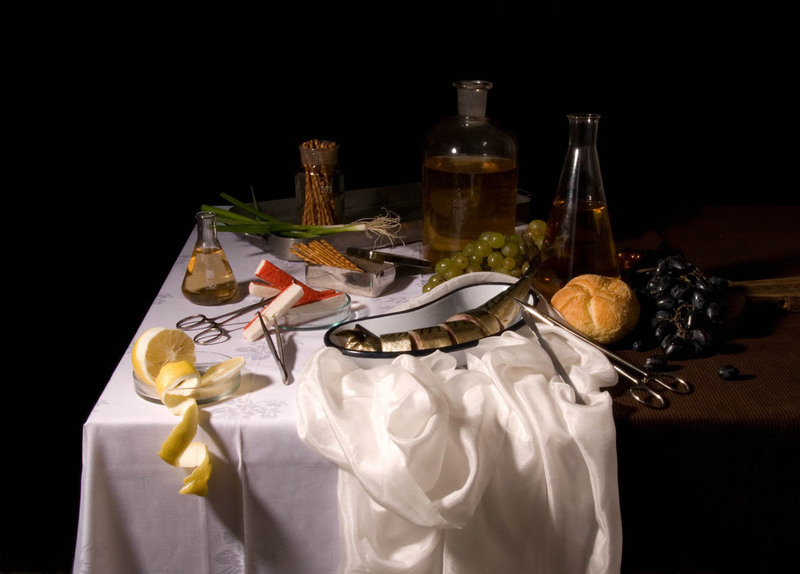 The exhibition’s centerpiece is a series of four 50x70 cm natures mortes photographs digitally printed on cloth – a modern-day interpretation of the popular Dutch and Flemish still lifes from the 17th century, the Golden Age of the Netherlands, when gourmet food became one of the country’s national symbols. Still lifes during this period were a lucrative business supporting an army of over 2 000 artists, which are directly refered to in the photographs. 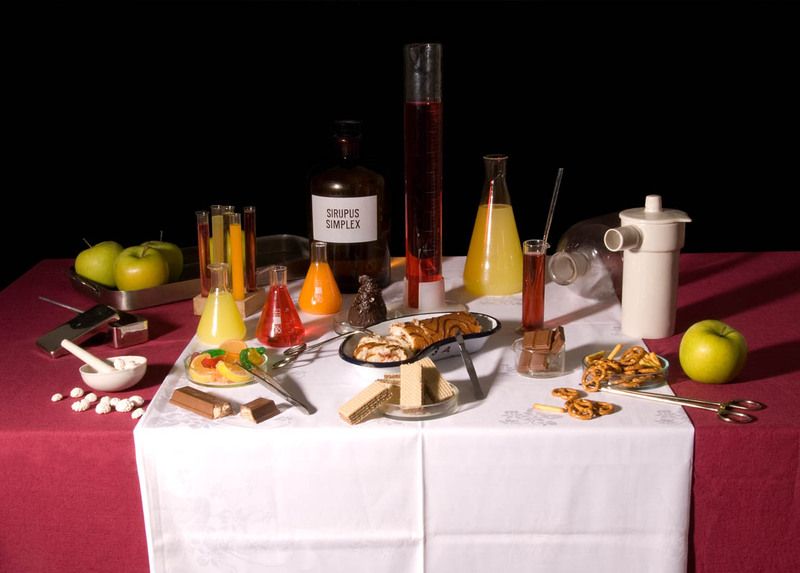 Using 17th c. themes and compositions, Alla Georgieva has prepared meals from some of the most harmful foods available on the contemporary market and arranged them in 21st c. flasks and basins for chemical and medical experiments. The works simultaneously highlight the dangers of contemporary food making and consumption, and comment on the place of artists in the capitalist situation where artworks are subject to market manipulation as much as any other product. We are suddenly aware that a classical late-Renaissance still life and a glamorous contemporary junk food advert could be used to the same market end. 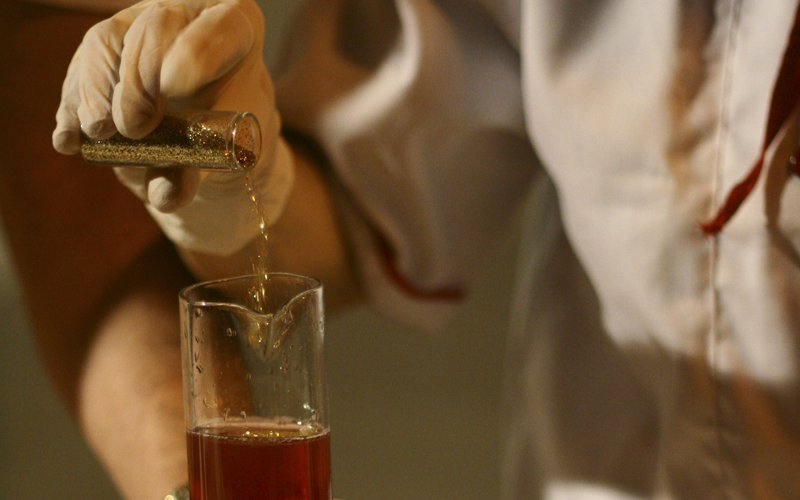 Cooking Show: Frankenstein’s Dinner is a parody of TV cooking shows, making use of popular cooking myths, utopias, chemical experiments and advertizing ploys. The performers prepare “beautifully looking, tasty and nutritious” dishes from the most harmful ingredients available on the Bulgarian market. 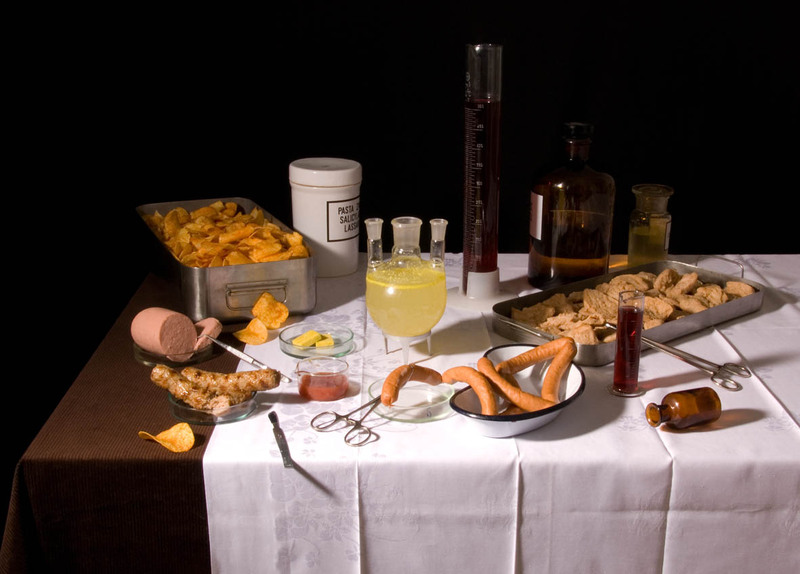 The performance is related to the photographic series Frankenstein’s Recipes – five 50x50 cm color photographs of similarly prepared “gourmet” foods. 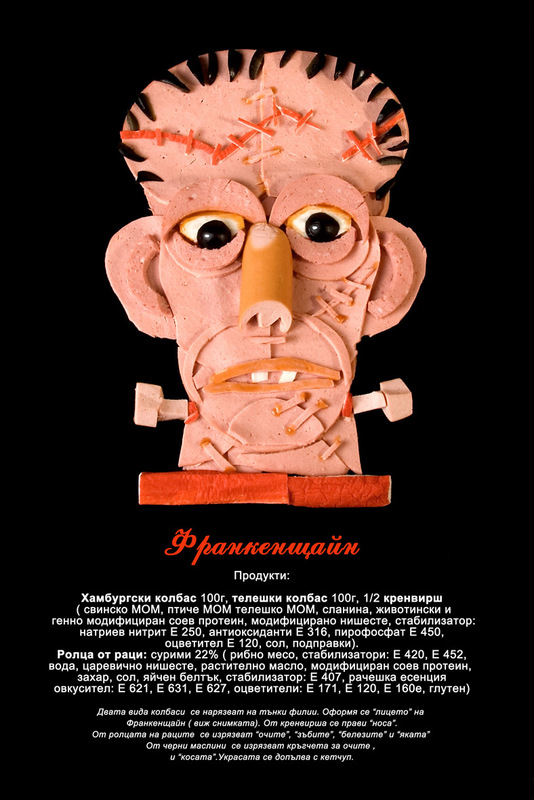 Frankenstein’s Dinner at the Sariev Gallery is the first part of Alla Georgieva’s long-term project To Eat or not To Eat, which examines eating as a historical, social, philosophical, political and cultural phenomenon. 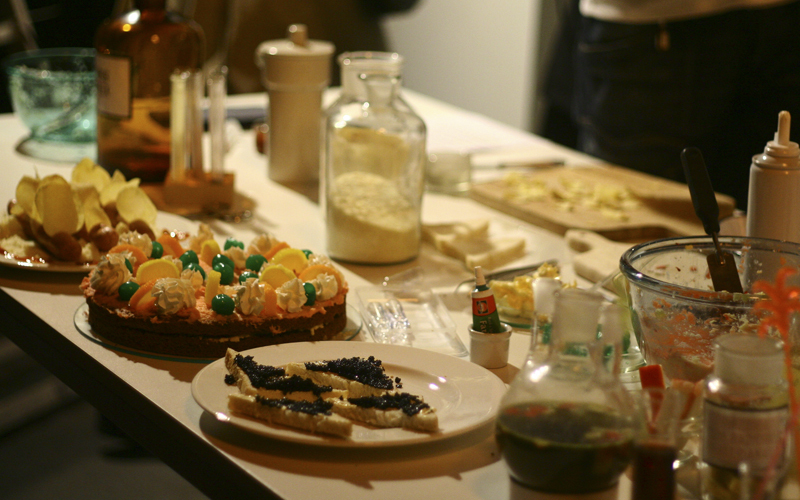 The title of the exhibition is derived from Frankenstein food – the Greenpeace term for genetically modified foods.